Hiking through National Parks, climbing mountains and surfing waves; we spent a lot of our spare time immersed in the natural world. But how does our use of the natural world impact it and equally, how does it affect us? 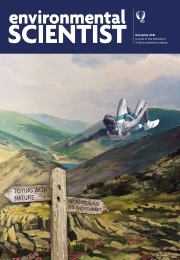 This edition of the environmental SCIENTIST explores our relationship to nature through recreational activities and questions whether we value recreation in nature for human benefit or for environmental gain. In a fascinating breadth of articles, read about how anglers could help to save our watercourses, how natural nature reserves really are, and to what extent does the air we breathe impact on athletic ability.